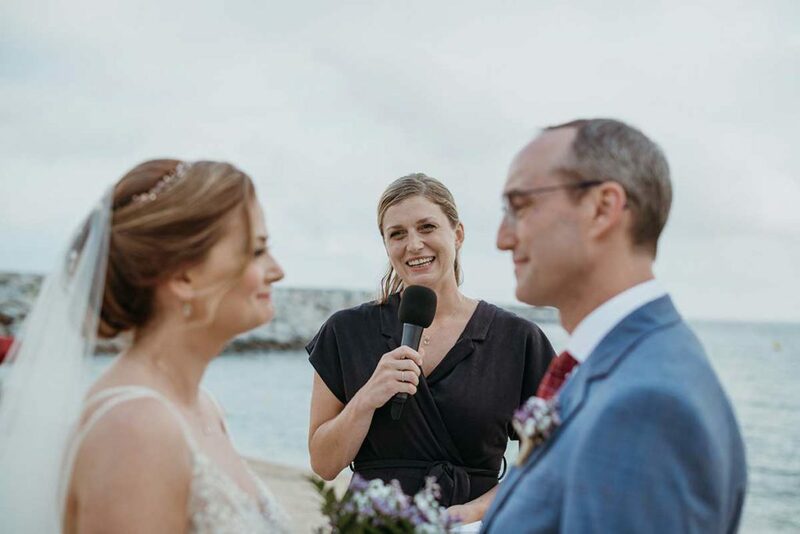 Summer seems so long ago now so today we are bringing back those memories of the beach wedding we officiated for our gorgeous beach bride. All the way from South Carolina. 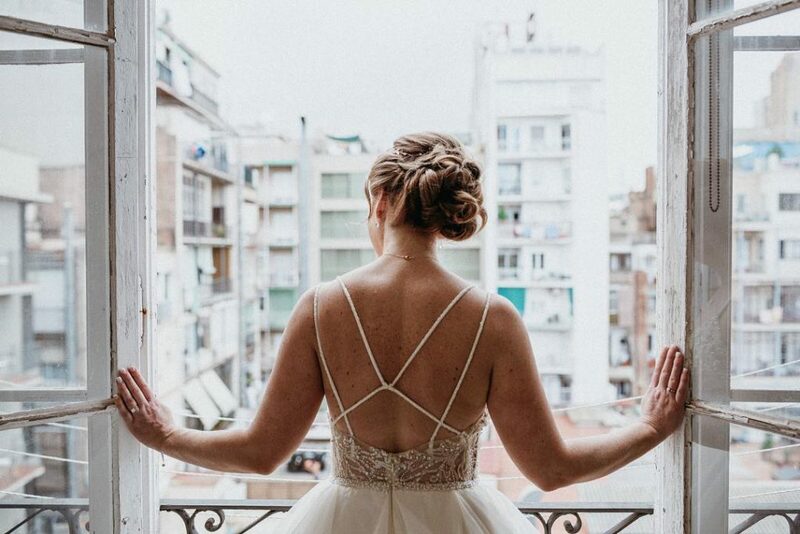 What did you love most about my wedding dress? When I was little, I would only wear a dress if it was ‘swishy.’ I loved to spin in my dresses and skirts. 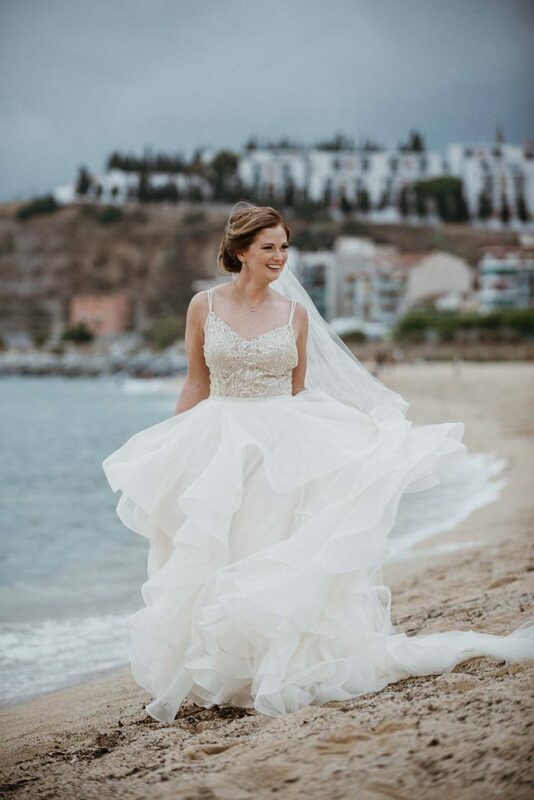 My wedding dress was the ultimate swishy dress. One of my favorite pictures is of Lee watching me spinning in my dress on the sand. I wanted a dress that was fun and flirty, and that I felt beautiful in. What was your favourite memory from the wedding? There are so many, it’s hard to choose. 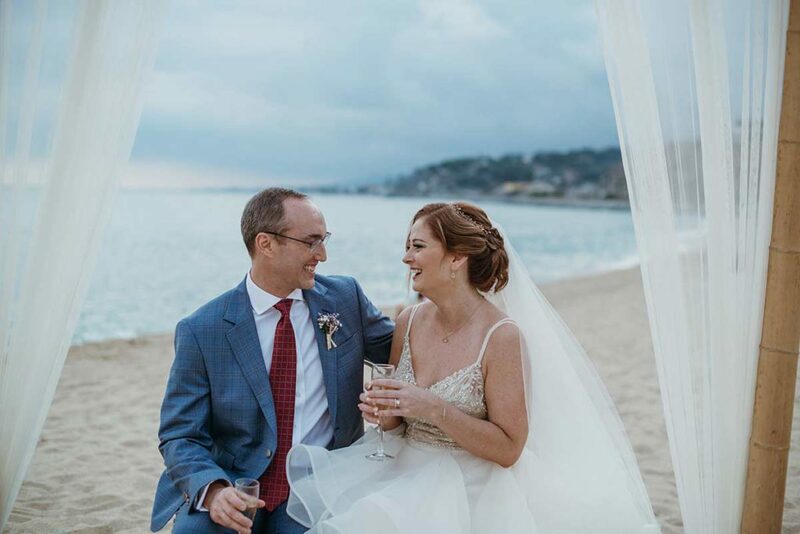 The overwhelming love I felt when I saw Lee waiting on the beach for me, hearing the music he had chosen in secret, surprising him with my love letter, dancing on the sand, listening to him speak his vows with love and confidence. Maybe a great summary would be the moment after, when we were just sitting together for a minute. We looked at each other and just laughed. 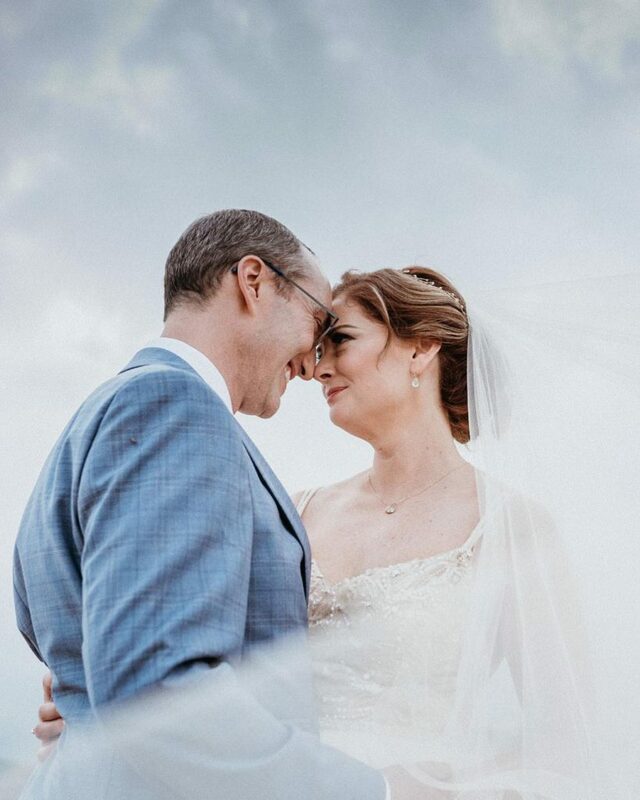 We had words of love for each other, but we also just looked around in amazement at what an incredible place we were in, and how it felt like our own fairy tale. 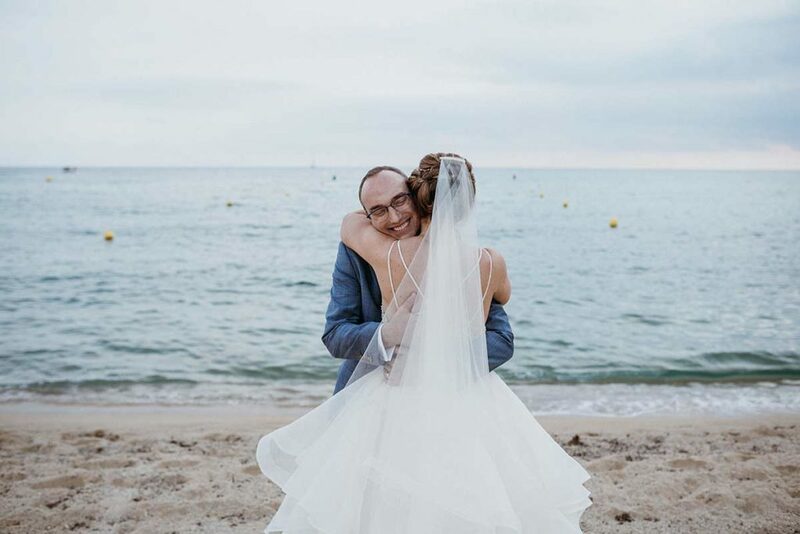 Why did you choose Spain as your wedding destination? 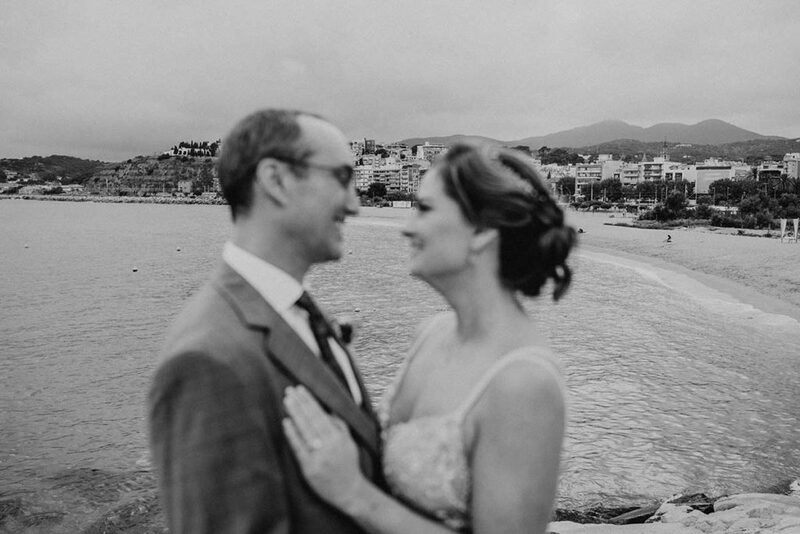 We had previously talked about Spain as a hiking adventure, so when we decided that an elopement was the way we wanted to go, Spain was an easy choice. That way we could combine our elopement adventure with our love of travel and hiking. I would return to the Costa Brava tomorrow. It was one of the most beautiful places I’ve ever seen, and I know we barely scratched the surface. 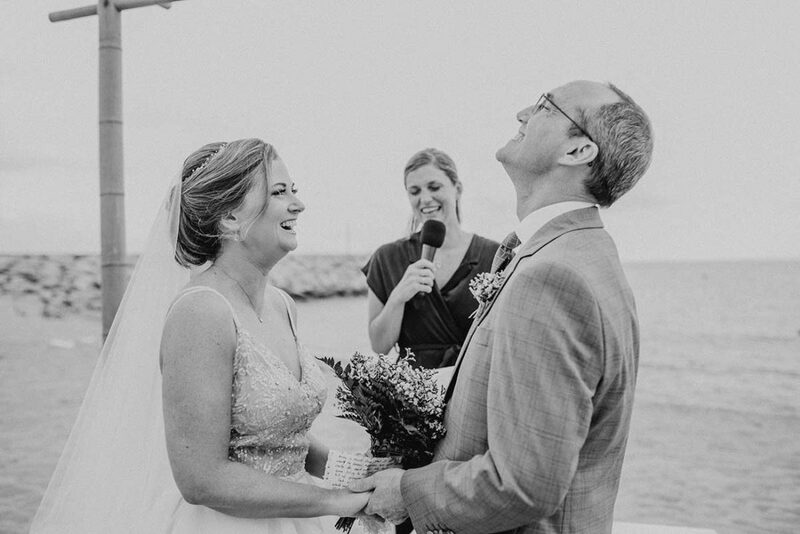 What inspired your Beach Bride wedding vision? 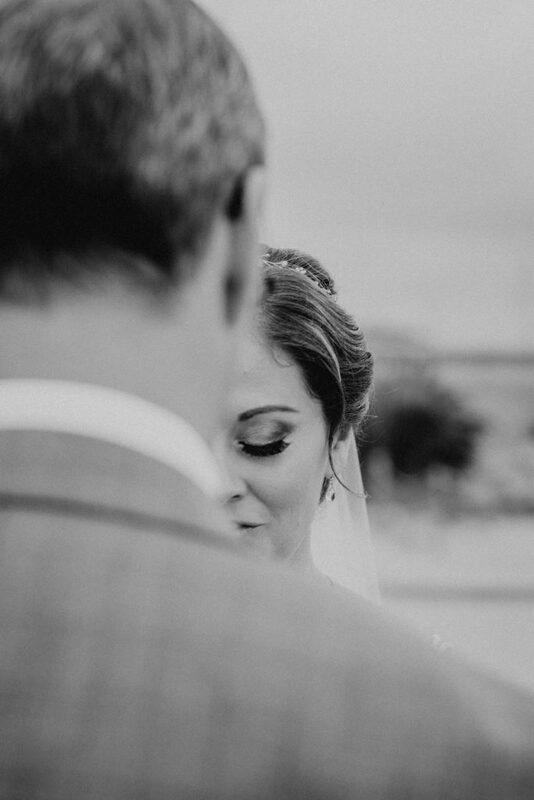 I think our vision was based on the desire to have our day exactly as we wanted, without any of the extra fuss or drama that can sometimes surround a wedding. I wanted simple, local flowers. Something that could have been picked up from a farmers market. Fresh and simple. 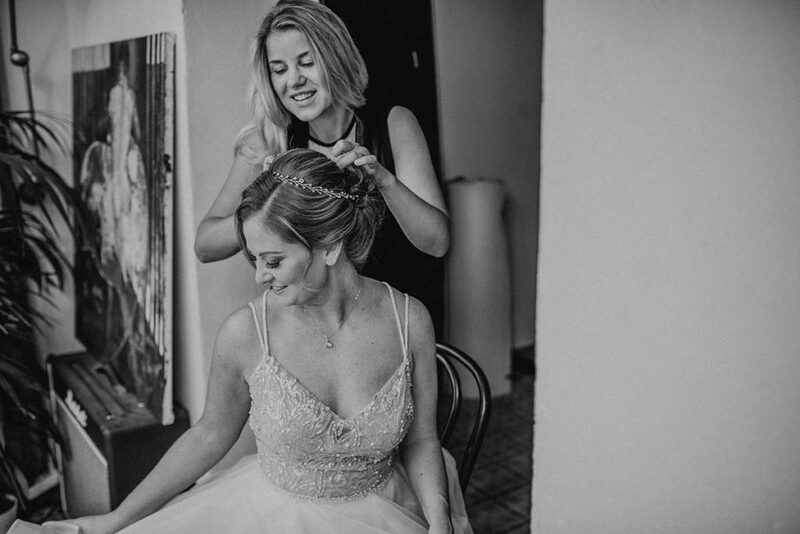 What cultural aspects did you include on your big day? Lee wore one of his grandfather’s tie’s, and carried his other grandfather’s tie in his pocket. That way he had both of them with him. I wore my great grandmother’s ring, and carried a handkerchief that was handmade by my great great grandmother. Remember that your day is about the two of you and nobody else. 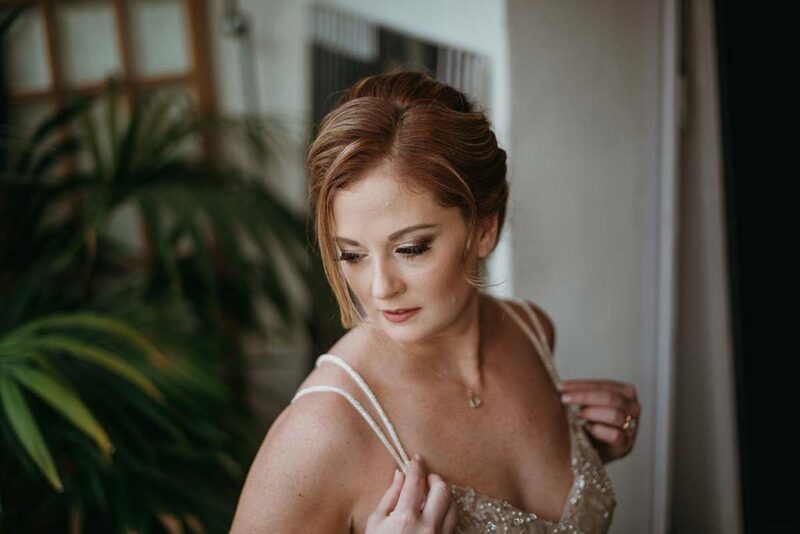 If you are getting overwhelmed or planning your wedding is becoming something that is not fun, then it is ok to step back and see if you can go about it a different way. 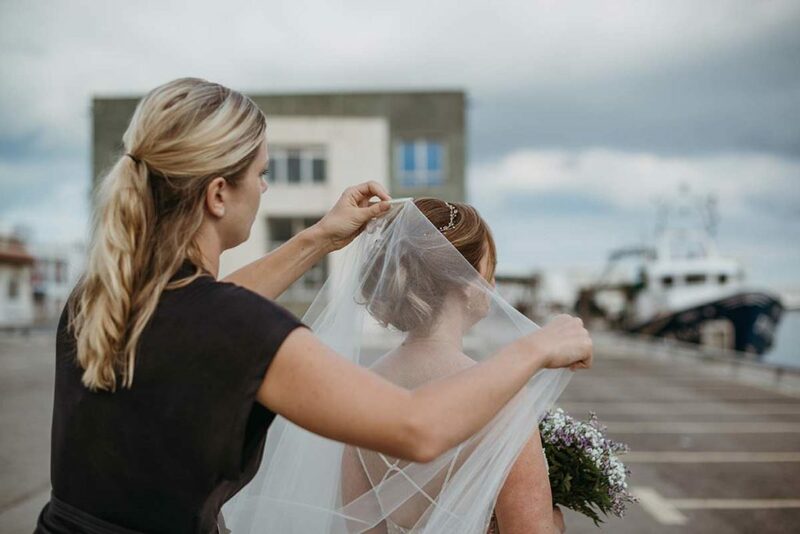 Find a wedding planner that you both connect with. Communication style, the ability to make your vision a reality, respect in regards to your budget, and a basic connection are all important. Make sure you have someone you both can work effectively with. 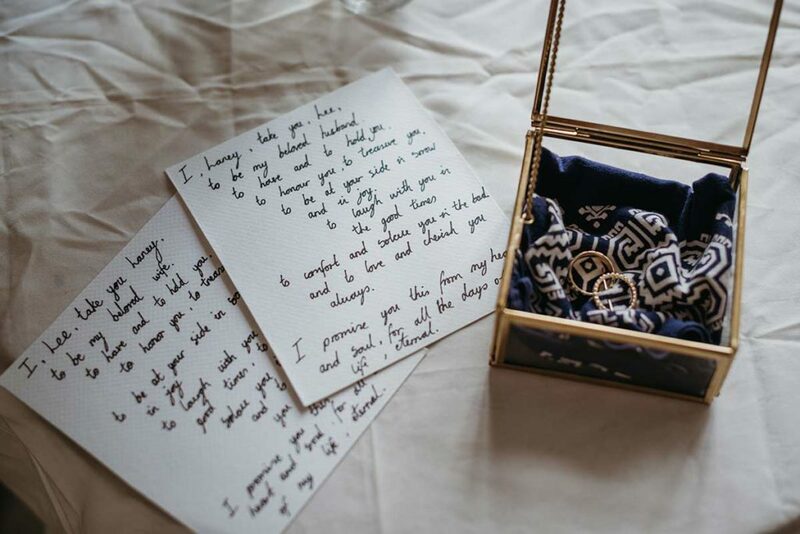 What about your wedding planning process? We started with establishing a budget. Then we wrote down our must have’s, our nice to have’s, and the things that we could live without. After that, we reached out to wedding planners and found Rebecca, who organised our beautiful day. 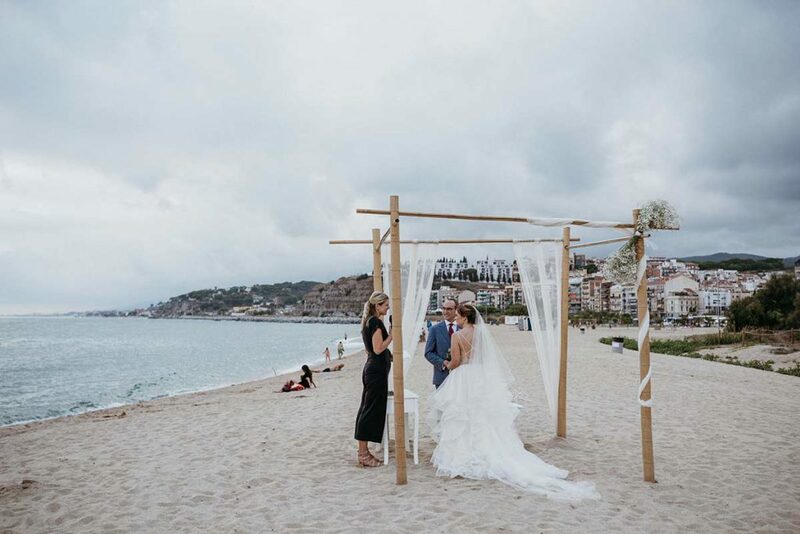 For more information about your Barcelona Beach Wedding contact us.